Why OBIEE drill through when you have EIS or Essbase Studio? Well, because EIS is marked for retirement and Studio has its limitations. Some of the studio limitations force you to have awkward work around in your environment. I have listed below some of those limitations that come to my mind immediately. 2. Upper level drill down is not possible with ‘out of the box’ solution. 3. Does not work well with EPMA. 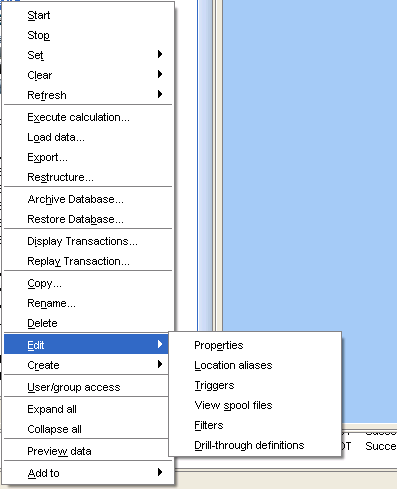 In this blog, I am trying describe how you can use Essbase drill through feature to connect to OBIEE via OBIEE parameterized dashboard. Step 1. Define drill through definition in Essbase cube. Step 2. Write jsp code to decipher the list of object that you will receive when users drill down in smartview. Then redirect the connection to OBIEE parameterize URL to the OBIEE report dashboard. Step 3. Install jsp in a web server. It may be the OBIEE WebLogic server or external webserver like Tomcat. Step 4: Build parameterized report dashboard in OBIEE. Its parameters must be based on Essbase cube’s member name. 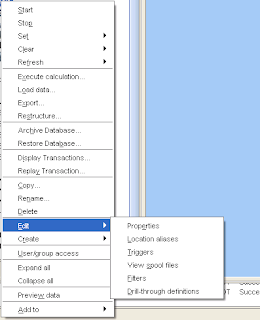 Right click on essbase cube->edit-> Drill through definition. You can add drill through definition directly via EAS. Control drillable intersection according to the requirement. Here is screenshot of drill through definition of one of my application. 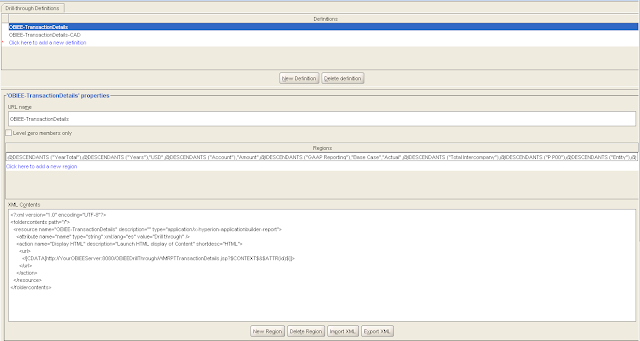 This xml above gives you an idea that we are connecting to jsp code TransactionDetails.jsp via http://YourOBIEEServer:7001/OBIEEDrillThrough/TransactionDetails.jsp with parameter CONTEXT$&$ATTR(id). Now TransactionDetails.jsp will be responsible for reading these parameters and redirect your connection to your OBIEE dashboard. Note: You can drill down from member name or Alias in smartview but Essbase always sends member name. so, your OBIEE drill through reports needs to have member name as parameter. This is a sample jsp from my environment. Before you write this code, you should have your OBIEE drill through report ready. Try to access your obiee drill through report with parameterized URL. Once you successfully access reports via URL you are good to go. 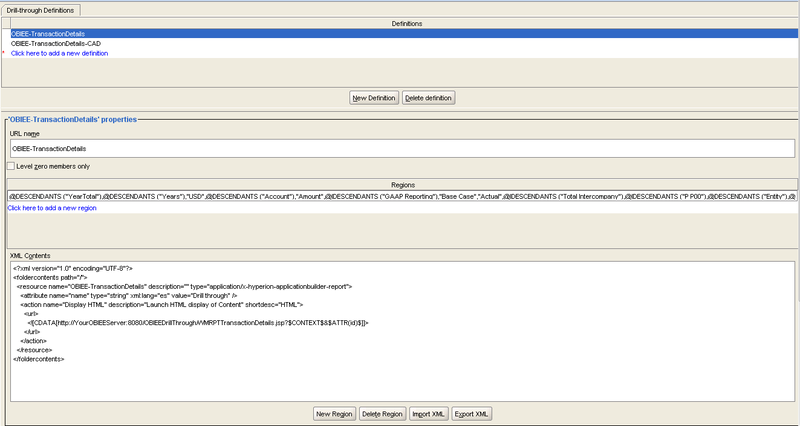 Note: Last step, response.sendRedirect(BIEEGoURL) redirects the connection to OBIEE URL to the report dashboard. 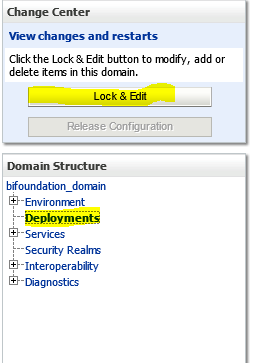 You can use external tomcat server or you can use obiee weblogic server for this. 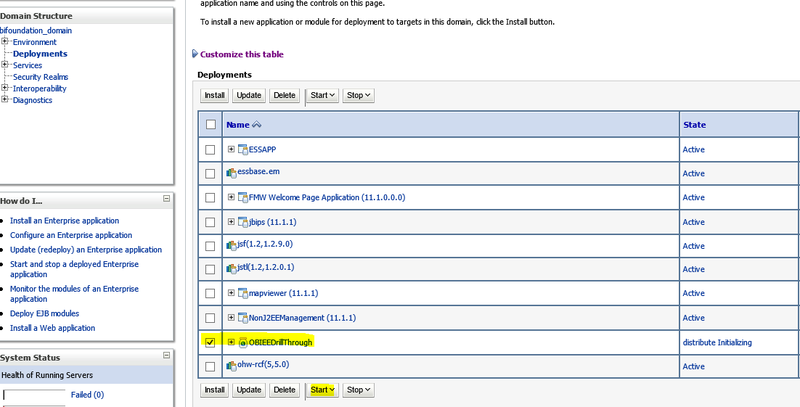 As Tomcat gel well with eclipse, I've used tomcat to develop it fully and later installed it in OBIEE Weblogic server. 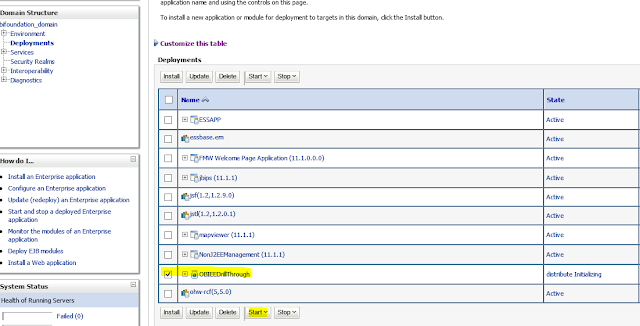 I have listed below the steps required to install your jsp code exported from eclipse as war file in Weblogic server. 1. log in to weblogic server. Click lock and edit. 3. Install the jsp code. Select default option, click finish. 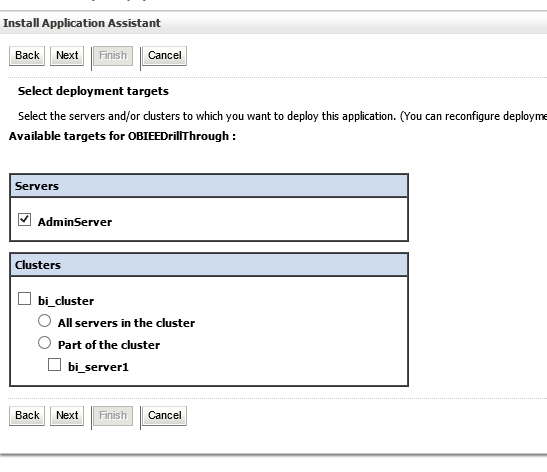 Find your newly installed application…and start it. Logically it should be your first or second step. That way your connection information to the report will be readily available.